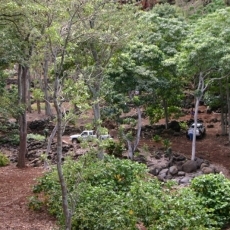 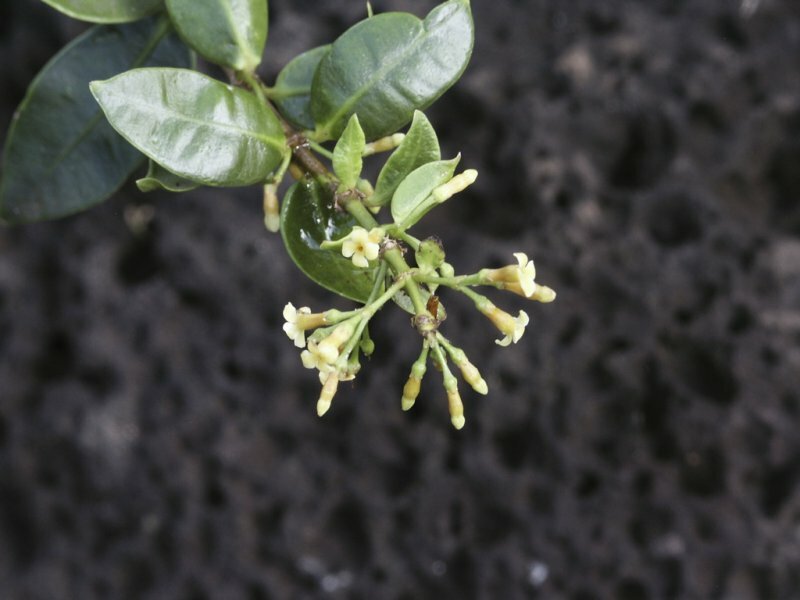 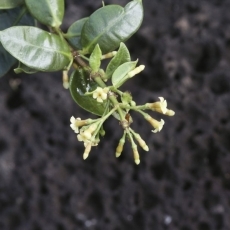 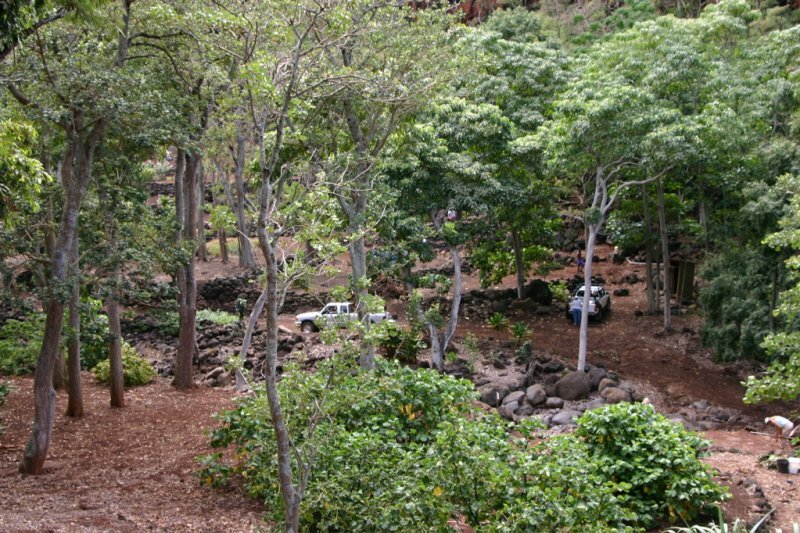 Our primary goal is to reforest Honokowai Valley and the Kaanapali area with native and endemic Hawaiian plant species. 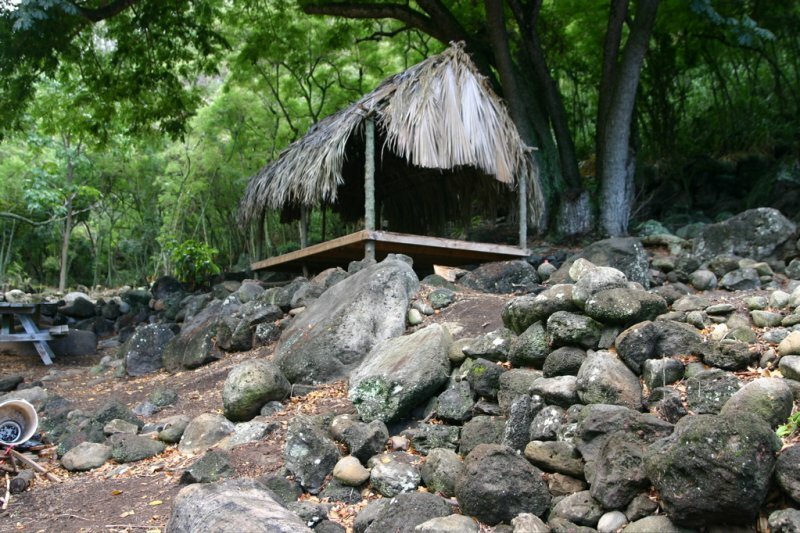 Honokowai is where it all began. 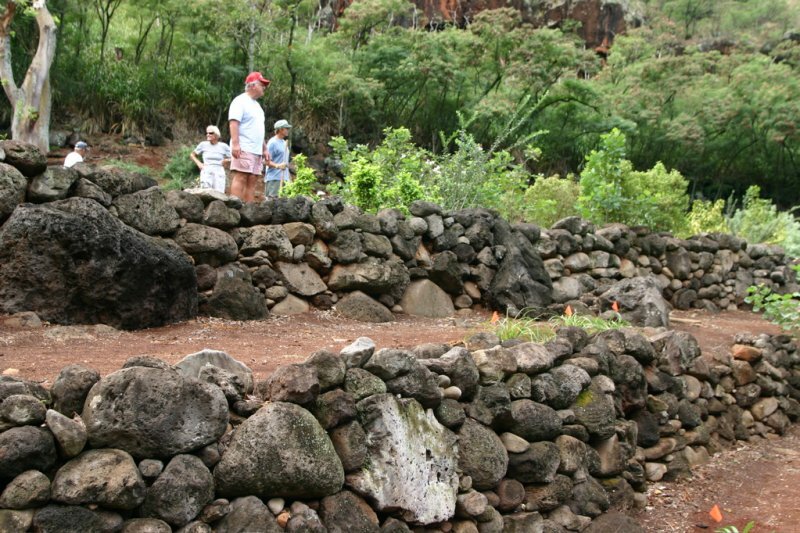 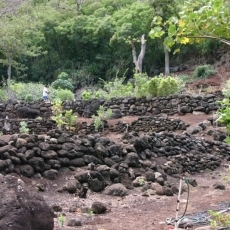 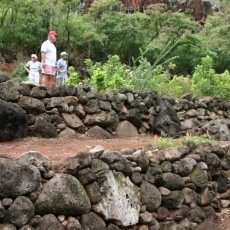 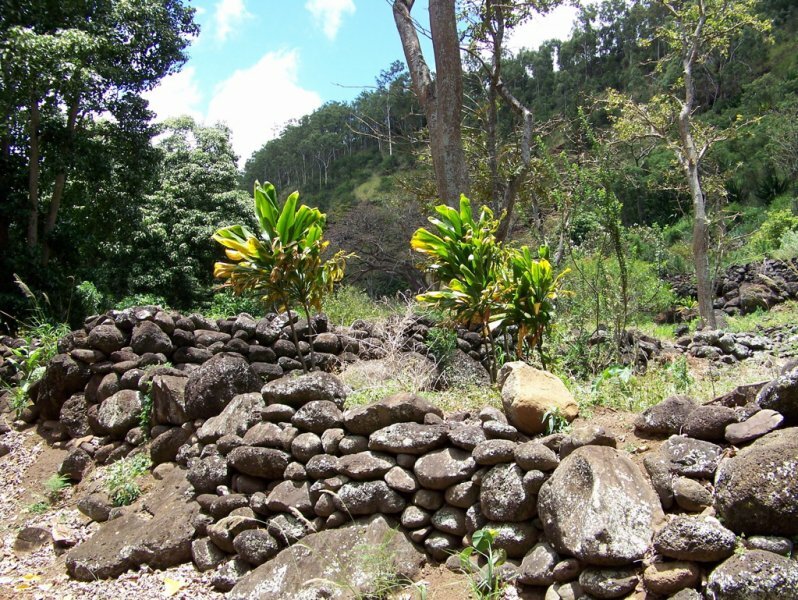 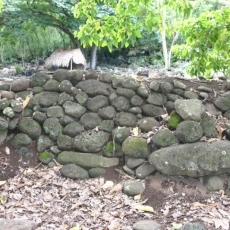 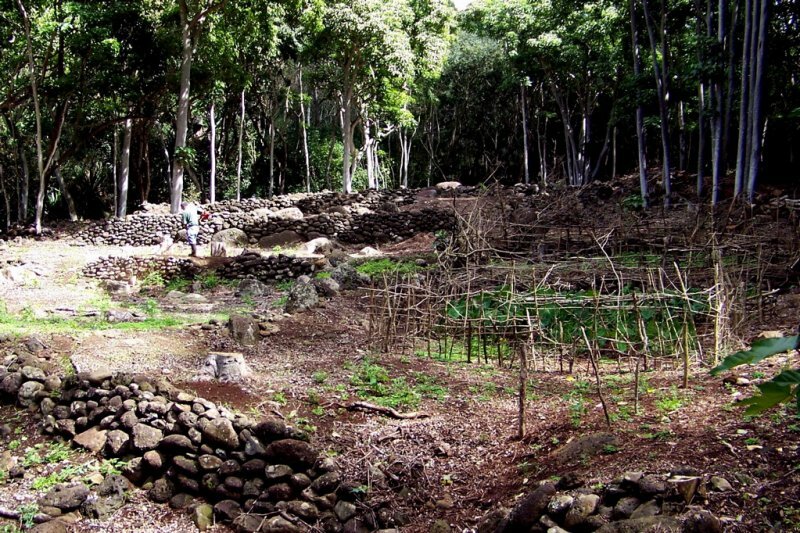 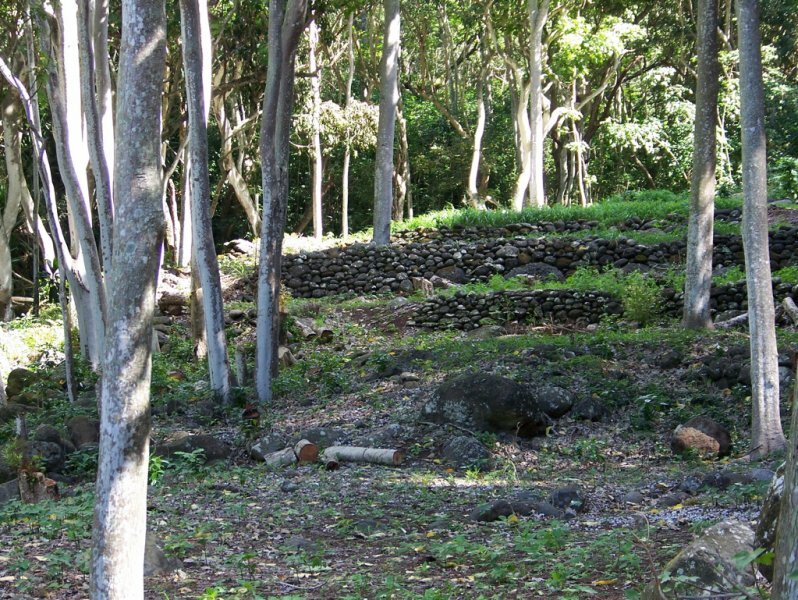 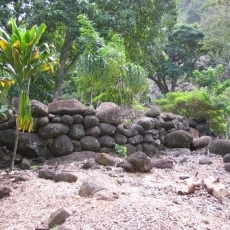 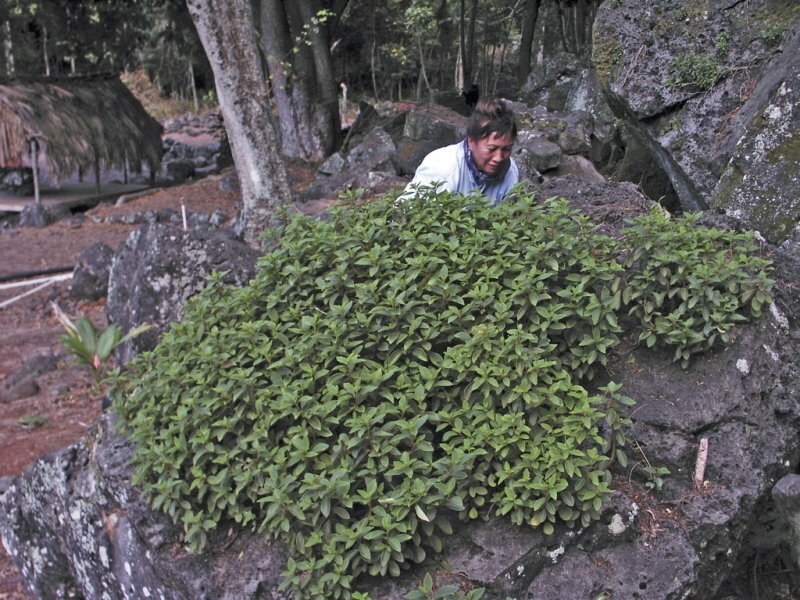 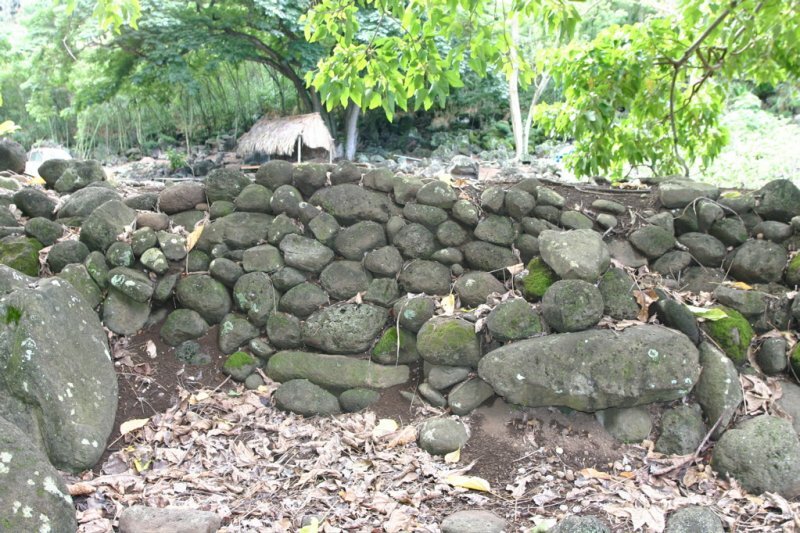 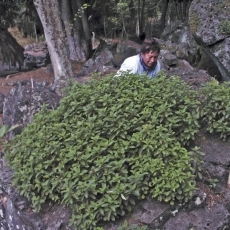 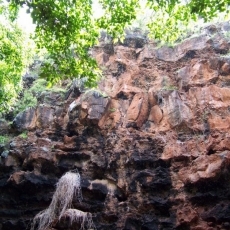 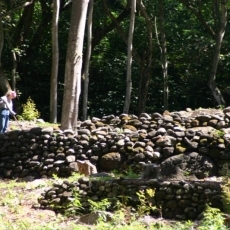 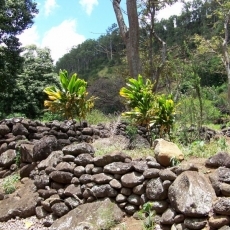 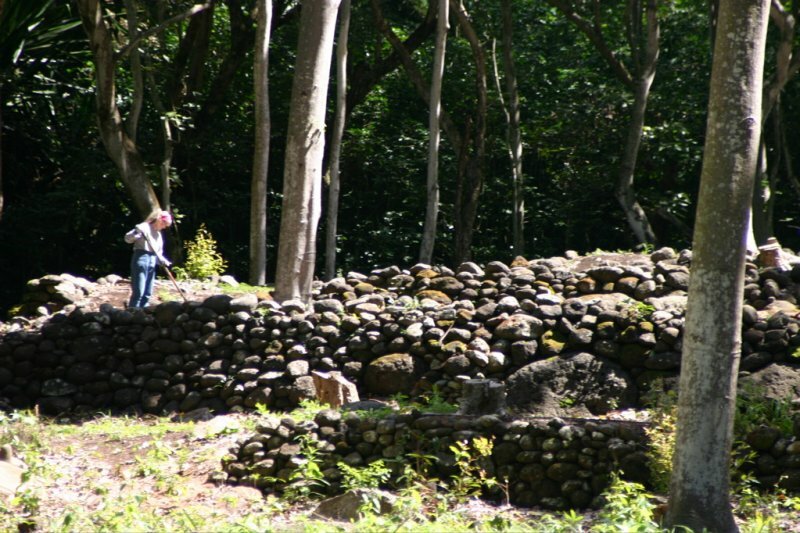 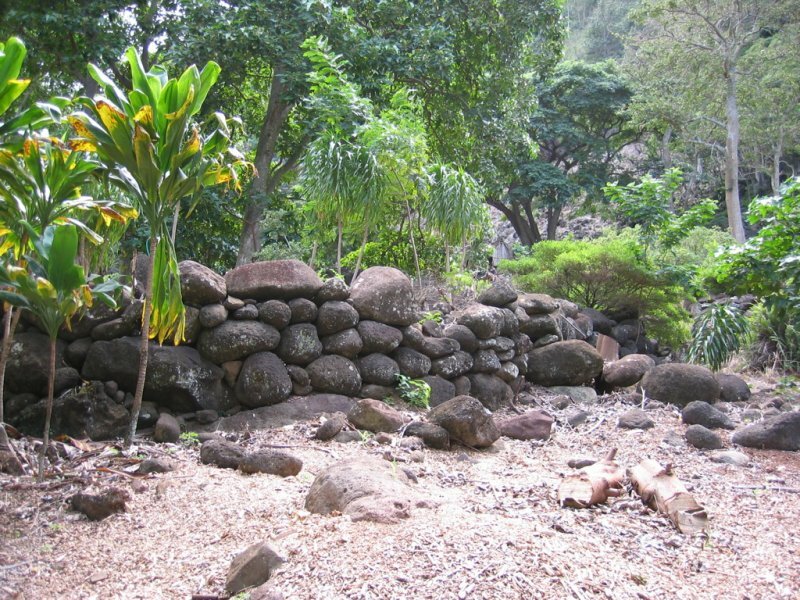 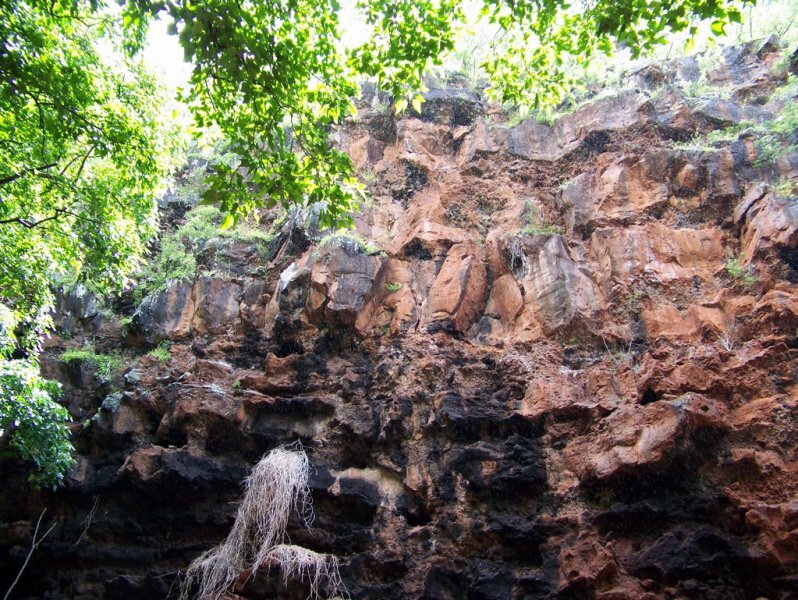 Extensive archeological surveys of Honokowai Valley conducted in 1999 revealed that beneath the tangle of foliage lay numerous archaeological sites, including homes, farms, trails and heiaus (places of worship). 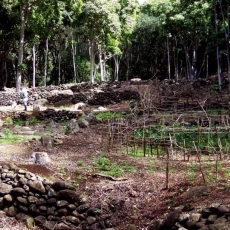 These findings showed that within the valley was once a thriving, self-sufficient village of about 600 families, likely dating from more than a century ago. 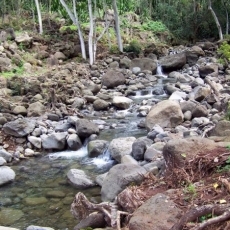 By the 1920s, sugar dominated the islands’ economy, and streamwater was diverted for its cultivation. 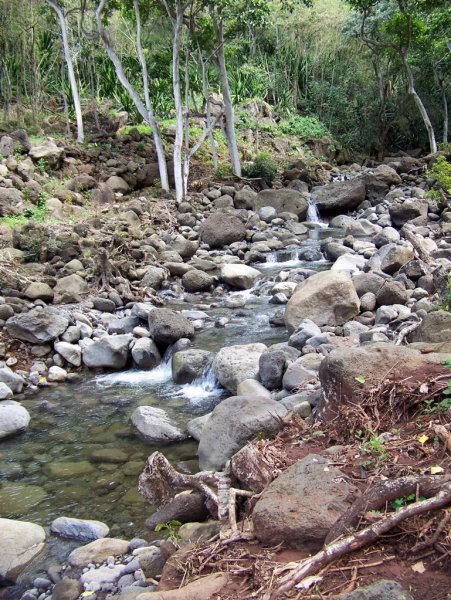 Without a source of fresh water, the sustainability of the village vanished, and families had to abandon the valley and find new ways to live. 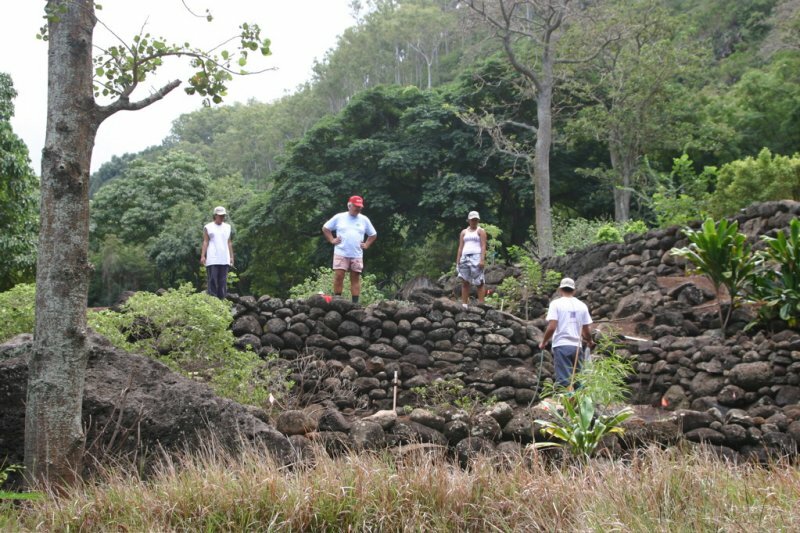 In 2002, when Ed Lindsey founded Maui Cultural Lands to facilitate the restoration of cultural sites, Honokowai was number one on the list. 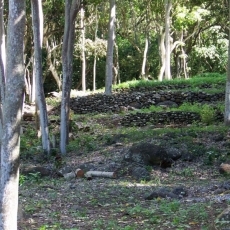 As the most historically significant in the region, with the most prolific archaeological remains, the site deserved immediate attention. 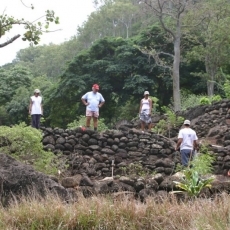 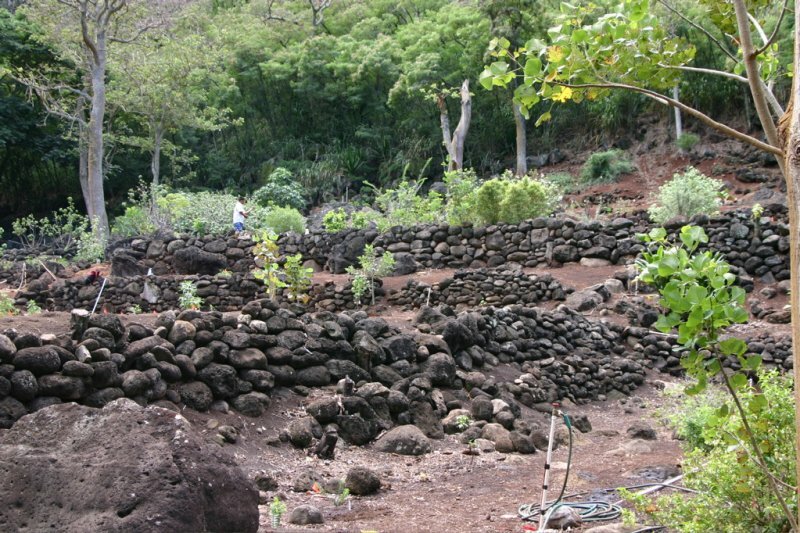 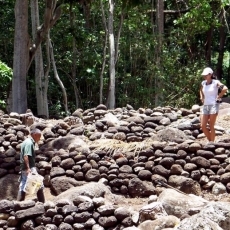 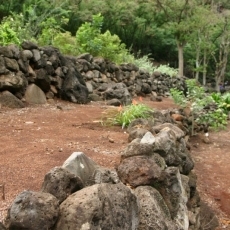 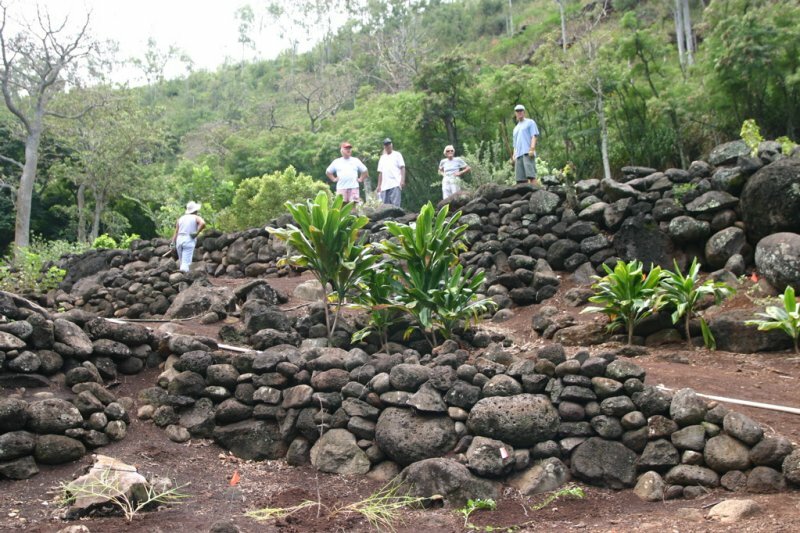 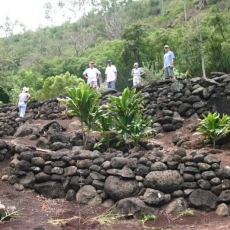 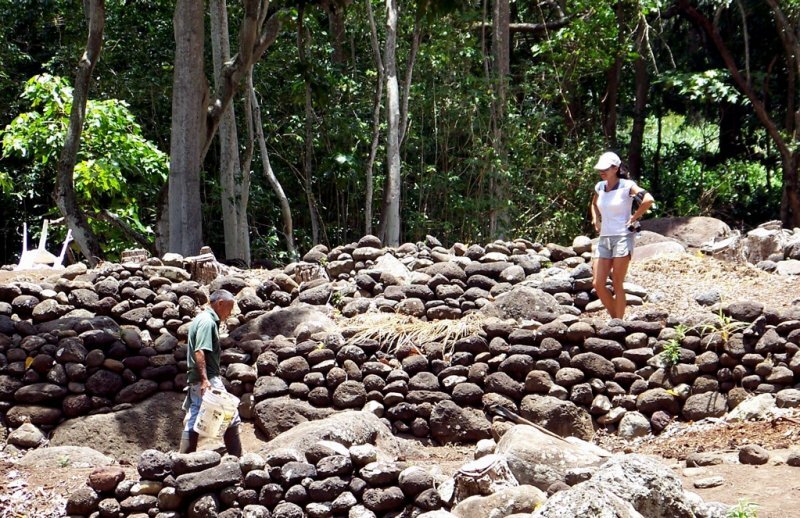 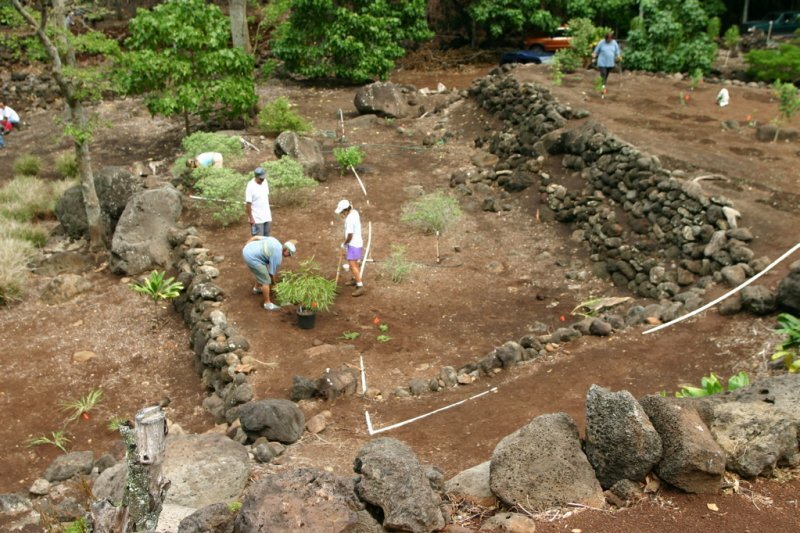 Working diligently since 2002, volunteers have cleared more than 10 acres of the valley, uncovering miles of rock walls, along with home sites and heiau. 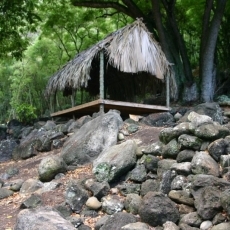 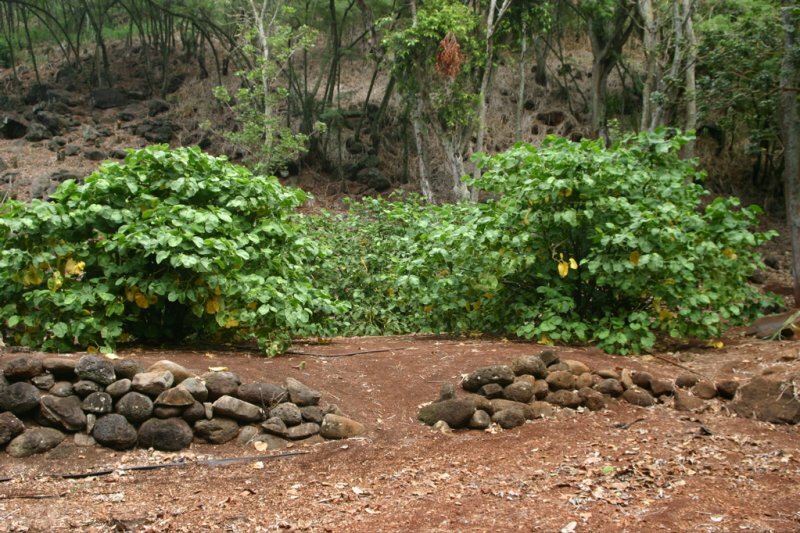 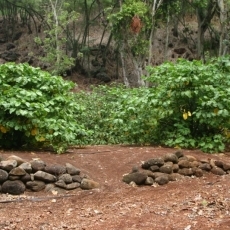 Volunteer efforts have planted thousands of native plants and trees, restored lo‘i for dryland taro, planted vegetable gardens, and even built a simple hale. 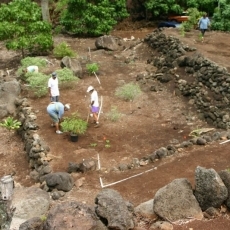 Much is still left to do, as the archeological remains extend far up into the valley. 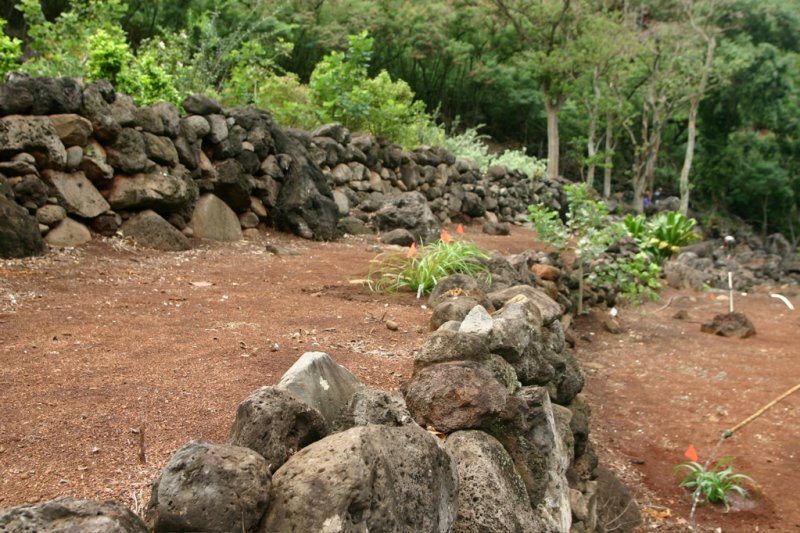 In addition, weeds quickly take over the cleared areas, necessitating constant maintenance.